Rachel Carson—pioneering environmentalist and author of Silent Spring—opens our eyes to the wonders of the natural world in her groundbreaking paean to the sea. 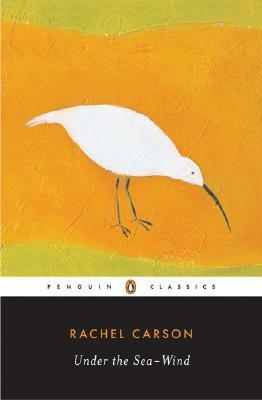 Celebrating the mystery and beauty of birds and sea creatures in their natural habitat, Under the Sea-Wind—Rachel Carson’s first book and her personal favorite—is the early masterwork of one of America’s greatest nature writers. Evoking the special mystery and beauty of the shore and the open sea—its limitless vistas and twilight depths—Carson’s astonishingly intimate, unforgettable portrait captures the delicate negotiations of an ingeniously calibrated ecology. Rachel Carson (1907-1964) is considered one of the harbingers of the contemporary environmental movement thanks to her book Silent Spring, a prophetic warning about the misuse of chemical pesticides. Under the Sea-Wind was the first of her distinguished trilogy on the sea. It was followed by The Sea Around Us and The Edge of the Sea, and catapulted Carson to international fame as a nature writer. Coming Spring 2017, the PBS "American Experience" Documentary Rachel Carson. Linda Lear (introducer) is an environmental historian and biographer and the author of the prize-winning study Rachel Carson: Witness for Nature and Beatrix Potter: A Life in Nature.